Although most people have heard of chiropractic, many people aren’t sure exactly what it entails. We want our patients to be empowered through education, so we provide this information to benefit those who are curious about chiropractic or who are considering it for themselves or a loved one. Chiropractic is a holistic, hands-on healing method that focuses on the musculoskeletal and nervous systems. Chiropractic provides drug-free pain relief and improves the physical functioning of patients. Practitioners of chiropractic, who can be known as chiropractors or chiropractic physicians, hold degrees at the doctoral level. The mainstay of chiropractic treatment is manipulation, which is a hands-on form of treatment for joints that are causing pain and dysfunction. Chiropractors may work on joints in the spine, arms, or legs. In addition to manipulation, a chiropractor may use adjunct treatments, such as muscle stimulation or therapeutic ultrasound, to help speed the healing process. Chiropractic offers a drug-free method for addressing chronic pain. Sadly, addiction to prescription pain medications is now very common. These medications can also cause many undesired side effects. With chiropractic, patients can get relief from pain without these complications. In addition, movement limitations caused by dysfunctional joints can be addressed with chiropractic. Unfortunately, some chiropractors make wild claims about being able to cure any disease through chiropractic treatment. Most people are understandably wary of such claims. In fact, research has shown that chiropractic is effective at treating a variety of conditions of the musculoskeletal and nervous systems. Although chiropractic is not a “magic bullet” that can cure absolutely any type of problem or disease, this form of treatment does have a high success rate when used appropriately for certain types of problems. What ages of patients can be treated? There is no age limit on chiropractic treatment. All ages of patients can benefit, from the very young to the very old. In seniors, mobility issues become increasingly common with advancing age. Pain and stiffness in the spine and other joints can bother seniors and may restrict their ability to complete daily activities. In some cases, seniors cannot live independently because of these problems. Chiropractic offers a drug-free and well-tolerated treatment that can restore mobility and reduce pain. The treatment will be personalized to be appropriate for the patient’s age and medical condition. Even a frail senior can safely receive chiropractic treatment from a well-trained professional. The mainstay of chiropractic treatment is adjustment. This form of hands-on treatment applies a gentle but specific force to a joint that is experiencing pain or other dysfunction. What types of adjustment does Dr. Barnes perform? Although there are a wide variety of different adjustment techniques currently in use, Dr. Barnes focuses on the diversified technique and the activator method. These two methods of chiropractic treatment have been tested and widely accepted as effective. The diversified technique is the traditional chiropractic manipulation method. The chiropractor uses his or her hands to apply a high-amplitude, low-force (meaning a small but quick) force to the affected joint. The diversified technique can be used on any joint, including any part of the spine or the limbs. The activator method uses a small handheld device to apply a targeted force to the affected joint. The amount of force used in the adjustment can be varied based on the patient’s needs. The activator method is ideal for sensitive areas of the body, or for seniors who need a gentler form of adjustment. This form of adjustment can be used alone, or can be combined with the diversified technique. In addition to adjustment, Dr. Barnes uses other treatment modalities that help to speed the healing process. Muscle stimulation uses electrodes on the surface of the skin to pass a small, non-painful amount of current into the muscles, causing muscle contractions. This stimulates blood flow, releases the body’s natural painkillers, reduces muscle spasms, and helps to speed the healing process. Therapeutic ultrasound uses sound waves to affect the healing process. This increases blood flow, breaks up scar tissue, and causes gentle heating of the area. Through these mechanisms, therapeutic ultrasound can speed the process of recovery from an injury. 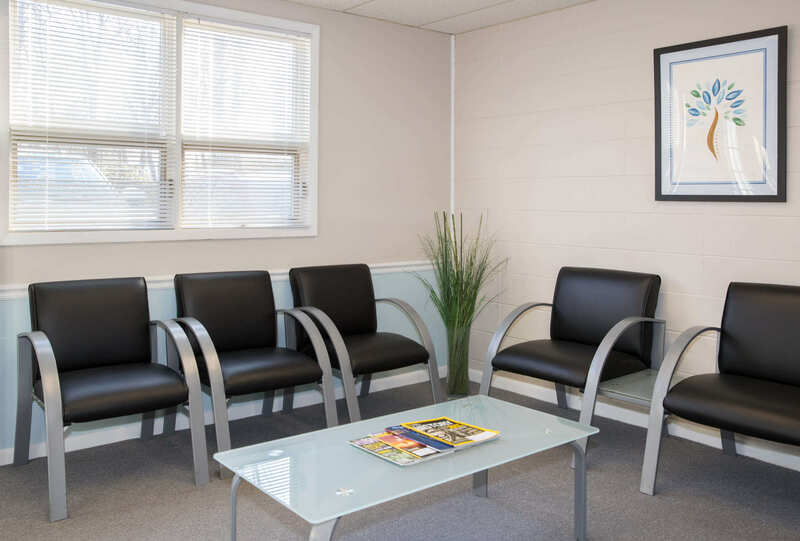 If you’re looking for a chiropractor in Chester, NJ, we invite you to visit our office. With her years of experience, respect for scientific research, and personal touch, Dr. Robin Barnes offers her patients the effective chiropractic treatment they need in a caring and relaxing environment. If you have more questions about chiropractic or would like more detailed information about the treatments we offer, please feel free to ask Dr. Barnes. She’s very open and friendly, and loves to empower patients through education. Contact us to schedule your appointment.